The Clamp- Unconditionally Guaranteed - Forever*. 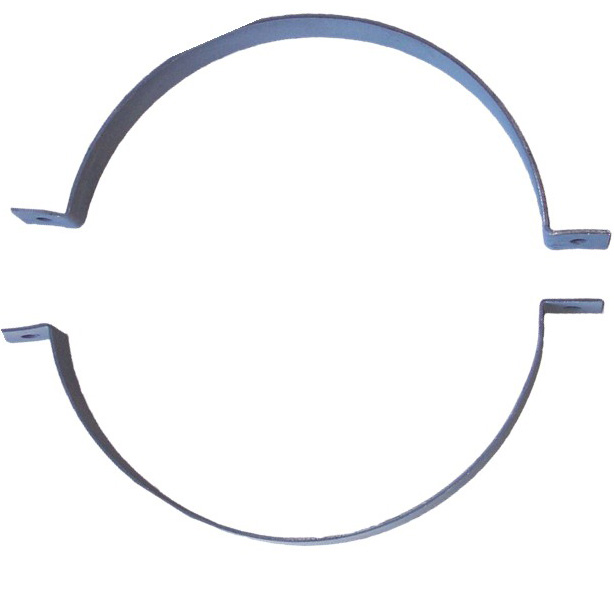 The US Duct stainless steel Duct Clamp is designed for repeatable and long term service. Our Universal Clamp design makes this clamp compatible with all brands of rolled-lip ducting**. The over center latch securely draws the special contoured band around the rolled lips of the components and seals them tightly. The clamp securely holds the duct but is ready for easy release for the next move or modification. This is all done WITHOUT removing screws, tape or bolts. Like everything at US Duct- simple, easy and well-conceived. OPTION: Grounding brackets, welded to the clamp, are available for added conductivity assurance. Our grounding bracket is spot-welded to the clamp and holds two spring loaded bolts against the metal surface of the duct to provide excellent conductivity throughout the system. *Yes. We know Forever is a very long time, and we trust you get the point. It is one tough and durable clamp! ** Fit should be double checked as we cannot control changes made by other duct manufacturers. Questions about 'The Clamp' and your options? 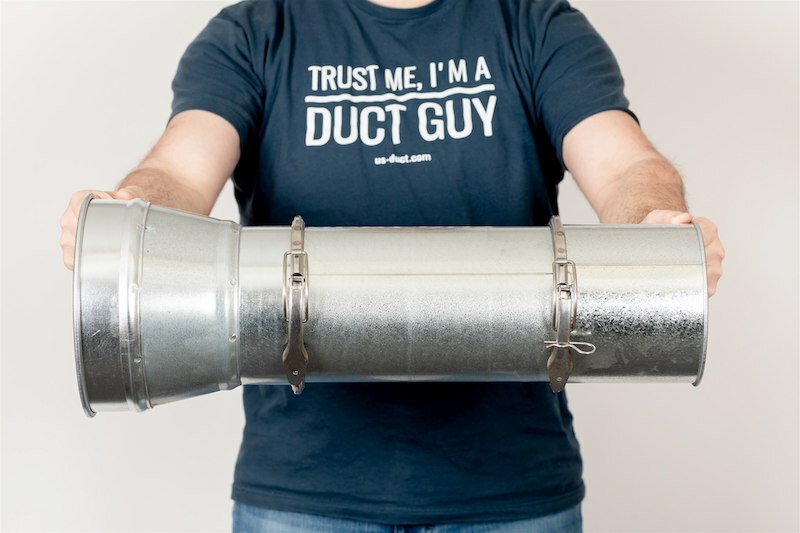 Get answers from an expert Duct Guy. NOTE: Have an oil mist or other wet application? Consider using our Ultimate Seal US Tubing Product.